Why would I need self storage in Alpharetta, GA? There are a variety of reasons why you might need self-storage in Alpharetta, GA.
How much is a storage unit in Alpharetta, GA? The cheapest storage unit in Alpharetta, GA is $30.00 per month. What size storage units do you have available in Alpharetta, GA? In Alpharetta, GA we have sizes that range from 5'x3' to 20'x30' to suit your storage needs. How much is it for a 5'x3' storage unit in Alpharetta, GA? The cheapest 5'x3' storage unit in Alpharetta, GA is $47.00 per month. Alpharetta is a large city in Georgia's Fulton County, part of the greater Atlanta metropolitan area. It's about 23 miles from Atlanta, which is close enough for a daily commute to work or a quick trip for a professional sports game, a theatrical performance or a day of shopping. Alpharetta itself also has plenty to offer, including the local farmers market, the Downtown Alpharetta Historic District and the Alpharetta Arboretum. Like many cities of the American South, Alpharetta boasts a long history. It first began as a settlement along a former Cherokee Native American trail. A trading post was established, and the surrounding village became known as New Prospect Camp Ground. Eventually, it became the county seat of Milton County in the mid-19th century and took on its current name, Alpharetta. 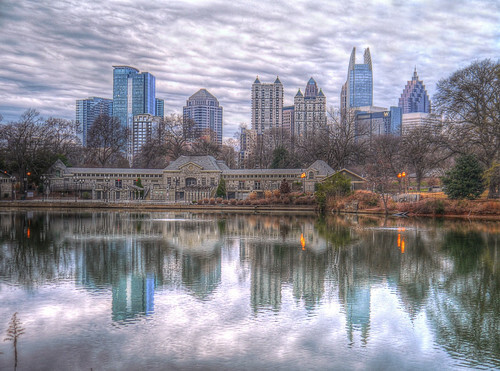 Families choose to move to the Atlanta region for several reasons, including the area's abundance of employment opportunities for qualified professionals. Alpharetta's unemployment rate is below the national average. Several large companies, including Coca-Cola and Delta Airlines, have operations in the area. There's also a handful of major retail developments that supply sales and customer service jobs to Alpharetta locals, such as North Point Mall and a downtown mixed-use development called Avalon. If you're planning to look for a job in Alpharetta, the city has many companies that may offer good prospects. The largest employers in the area include Verizon Wireless, McKesson, ADP, LexisNexis, Comcast and UPS. The Fulton County School System manages the public schools of Alpharetta. In addition to its traditional elementary, middle and high schools, the district also oversees public charter schools, such as Amana Academy and Fulton Science Academy (located in the neighboring community of Roswell). Private schools in the city include parochial, college-prep and special needs campuses. Utilities: Utilities companies serving the Alpharetta area include Sawnee EMC, Georgia Natural Gas and Fulton County Water. Garbage and Recycling: All residents receive trash, recycling and yard waste collection services. Bulky waste pick-up is also available on an as-needed basis. Transportation: Alpharetta is part of the Atlanta metro area's major transportation system, called MARTA. The transit network includes a number of bus routes that offer transportation throughout the area. Because Alpharetta is such a desirable suburb of Atlanta, it has a fairly high median home price. Prices are also rising steadily, and there's no sign that they'll level off anytime soon. Many of the homes in Alpharetta feature the classic red brick style that's common in the South, and you can find some with amenities such as swimming pools and large backyards. The housing market in Alpharetta is large and varied, so your options will range from brand-new construction to older, established communities. Our lowest priced units in Alpharetta, GA average $48.00 per month. 115 people have reserved units in Alpharetta, GA in the past 30 days. There are 3 locations within Alpharetta, GA's city limits. There is 1 location in Alpharetta, GA that offers AC and Heating features.